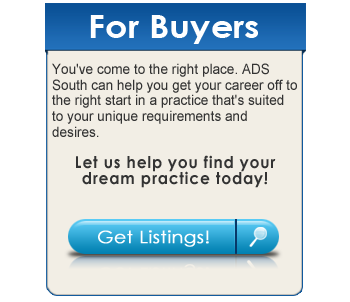 ADS is literally composed of the best professionals in the transition field. We do not offer franchises to just anyone who wants to sell dental practices. All prospective members must pass review by our nomination committee and meet quality and experience requirements. To be admitted to ADS, they must be voted upon by the entire ADS membership. ADS members are subject to internal standards and peer review. We are serious about integrity, competence and quality. Discover the practice you’ve been looking for. Find the practice or practices you’re interested in and contact us for highlight sheets to learn more about the opportunity. For those interested in the fast track to practice acquisition, call us about our priority services for purchasers. 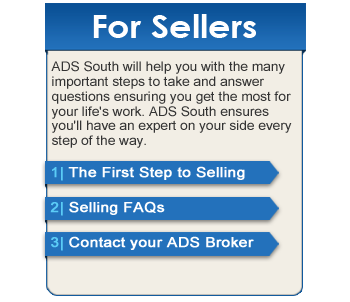 ADS South specializes in dental practice sales in Alabama, Arkansas, District of Columbia, Georgia, Louisiana, Mississippi, North Carolina, South Carolina, Tennessee and Virginia. Founder of ADS South, Dr. Douglas earned his Doctor of Dental Surgery degree from the Baltimore College of Dental Surgery, Dental School, University of Maryland 1971. He practiced in the U.S. Army Dental Corps at Fort Benning, Georgia, from 1971 to 1974 and in Stuttgart, West Germany, from 1974 to 1977. Dr. Douglas was in private practice in Atlanta, Georgia, from 1978 through 1982. After the sale of his private practice in 1982, he began his career in practice transitionconsulting. He received his Master in Business Administration degree from Brenau College in 1984 and founded ADS South in the same year.Dr. 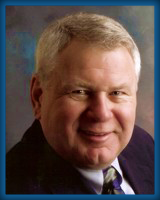 Douglas was the founder of American Dental Sales, Inc., in 1996 and served as its first president. He is the author of cash flow analysis software used by professional brokers and lenders. He is also a contributing author for Dental Economics and has presented numerous seminars for Dental Economics and state dental associations. Dr. Douglas is a member of the Practice Valuation Study Group and the Institute of Business Appraisers.